The Royal National Institute of Blind People (RNIB) is a UK charity which offers a Talking Books library service. The audio books are provided in DAISY format and delivered to the reader's house by post as a CD or USB memory stick. There are over 30,000 audio books available to borrow, which are free to print disabled library members. 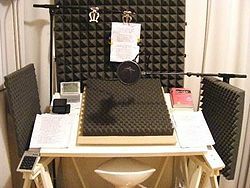 RNIB subsidises the Talking Books service by around £4 million a year.